Tenerife or Gran Canaria? Which island is better? Of all the Canary Islands, people usually tend to make a comparison between Tenerife and Gran Canaria and sometimes between Lanzarote and Fuerteventura. Tenerife is the most visited Canary Island out of the entire archipelago, but all the other islands are growing ever more popular each year. The weather in Tenerife and Gran Canaria is pretty much similar, although Tenerife has the massive Mount Teide right in the middle, which causes a lot of cloudiness especially in the north of the island. Because of where the Canary Islands are located, they enjoy good weather all year round, with mild temperatures even in the winter. 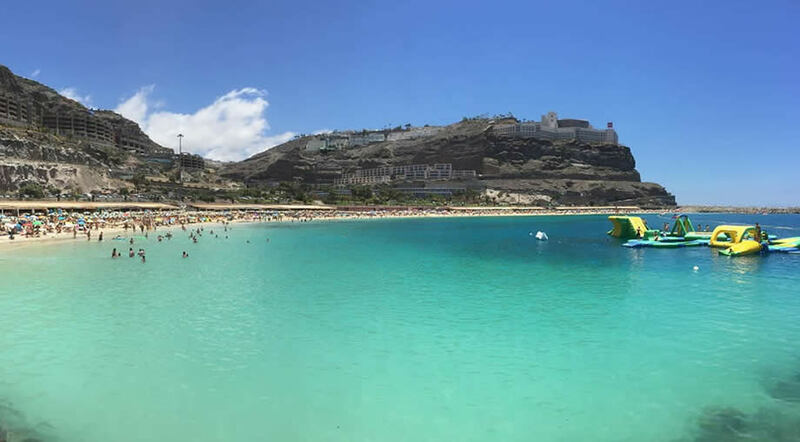 The south of Gran Canaria is usually recommended by many people as being more sunny than the south of Tenerife, especially the area of Puerto Mogan. In Tenerife it's true that the north tends to be much more prone to rain and bad weather during the winter months, so we would recommend staying in the south if coming to Tenerife between January and March. When it comes of things to do and exploring we prefer Tenerife as we fell it's more diverse, but Gran Canaria is beautiful as well, so it's very hard to choose between them. In terms of beaches we tend to prefer Gran Canaria to Tenerife. In Tenerife we definitely recommend to go to Playa de las Teresitas (depending on the season) and to El Medano, plus Playa La Tejita as well. Although windier, the coast around El Medano has some lovely beaches and landscapes that deserve to be discovered. In Gran Canaria you have Playa del Ingles, the beautiful Maspalomas beach, as well as Playa de Puerto Rico, Playa Amadores and Playa de Mogan. In the capital you have Las Canteras Beach, which is often listed as one of the best city beaches in Spain. So in terms of beaches we personally prefer Gran Canaria versus Tenerife. If you want to come to the Canaries for the first time and you're trying to decide between Tenerife or Gran Canaria, we advise you to read well about them and think what sort of things you want to do during your holiday and then decide which is the best Canary Island for you. Well this topic definitely falls under the personal preferences category. Again, here we prefer the atmosphere in Tenerife more to the one in Gran Canaria. We simply love the north of Tenerife, from small little towns to beautiful landscapes and the wild beaches in Anaga. But this doesn't mean that Gran Canaria falls behind. All the Canary Islands are beautiful in their own way and we would advise to give them all a try, especially if you're the type who wants to try new things and explore, as they are very different. We feel like Gran Canaria is better for people who enjoy partying and the area of Playa del Ingles is ideal for that. We're not such big fans of night clubs and loud music, so this area is not for us and we tend to like some other places in Tenerife more. So ... which is better? Tenerife or Gran Canaria? Our answer to this question would be... Why not Tenerife AND Gran Canaria? We think that these 2 islands have many similarities and both of them need to be discovered without being rushed. Depending on how much time you have you could split you holiday in two: fly to Tenerife, stay there for half the holiday, then take the ferry to Gran Canaria, stay there for a bit and fly home from here. Or plan 2 separate holidays, this way you have something to look forward to.